A couple of days ago I went to lecture of stargazing with our president of the hotel. He knows that I love looking up sky. We were taught that having even tiny telescopes is important for stargazing. I havent had it because I didnt know that. On the previous day they went to stargazing and told us that they were able to see the beautiful stars. I got jealous that they looked up MILKY WAY!! 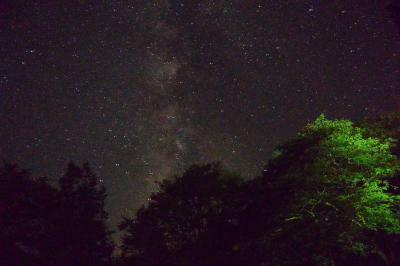 The picture was not on the day, but I was able to capture Milky Way. Even cloudy night, we were taught where Jupiter, Vega, Altair, Summer Triangle are. It was so great to know that. I really appreciated that the president asked me to go. I appreciated that they accepted us to learn. I am happy to know stars, space, etc.